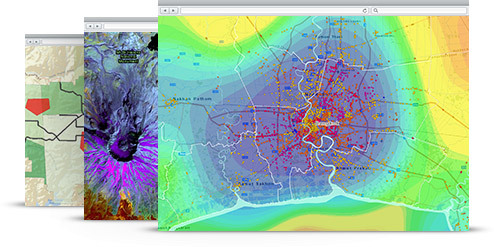 Apply Spatial Analyst tools to create useful information from your source data. 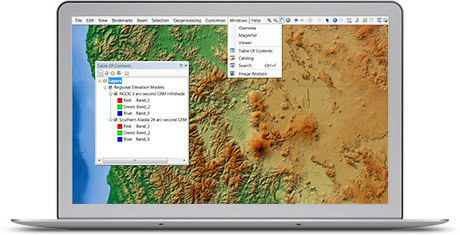 Create a hillshade to use as a backdrop of the terrain to support other data layers. 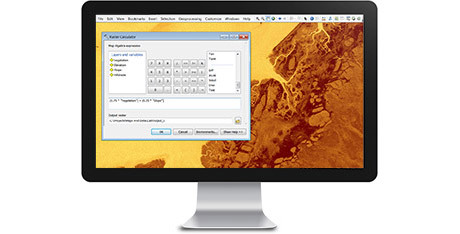 Calculate slope, aspect, and contours, or create a map displaying visibility. Use derived data together to help solve spatial problems. Use Spatial Analyst to perform density analysis to show where point or line features are concentrated. For example, managers of a retail store chain may wish to study the distribution of where the customers live. You can calculate the distance in a straight line from any location to the nearest source, or create cost-weighted distance surfaces to understand the cost of getting from one location to another based on a set of input criteria you specify. Applying the cost distance functions, you can also create the least cost or shortest paths between different locations. Map algebra provides an easy-to-use and powerful way to define geographic analyses as algebraic expressions. 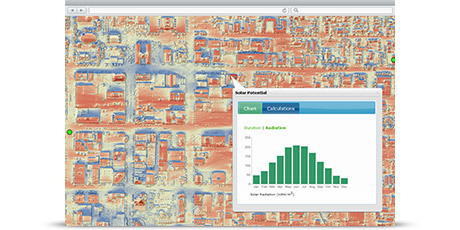 Regardless of the raster format, Spatial Analyst allows you to perform calculations on a per-cell basis between multiple datasets, such as calculating the mean crop yield over a 10-year period, studying the variety of species contained within each neighborhood, or determining the mean elevation per forest zone. 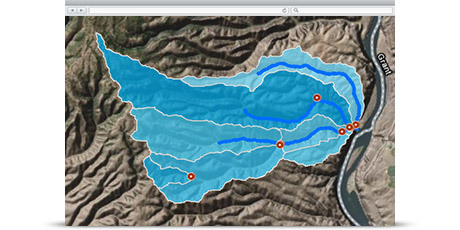 ArcGIS Spatial Analyst contains specialized tools for working with and deriving new information from hydrologic and landscape data. The hydrologic modeling functions help you to model where water will flow, create watersheds and stream networks, and derive other hydrologic characteristics. For more detailed information about Spatial Analyst, take a quick tour.